Black and Pink is an open family of LGBTQ prisoners and free world allies who support each other. Black and Pink is an open family of LGBTQ prisoners and free world allies who support each other. Their work is rooted in the experience of currently and formerly incarcerated people, and their goal is to abolish the prison industrial complex. 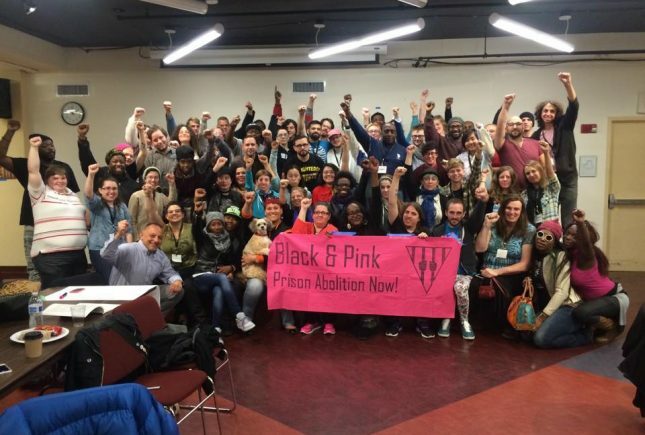 As a grassroots community organization, Black and Pink strives to take leadership from those most impacted by the prison industrial complex. Their monthly newspaper provides an essential outlet for communication, storytelling, power building, and solidarity for incarcerated LGBTQ individuals.